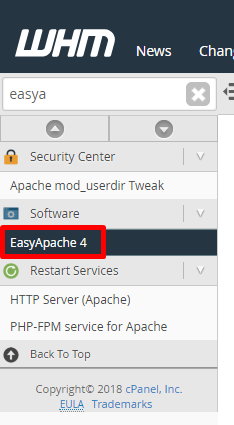 Below are the steps to recompile apache/php in your cpanel server. Use it if you know properly. On the main page make sure ‘Begin by selecting a profile to load:’ is selected and then click ‘Start customizing based on profile‘. 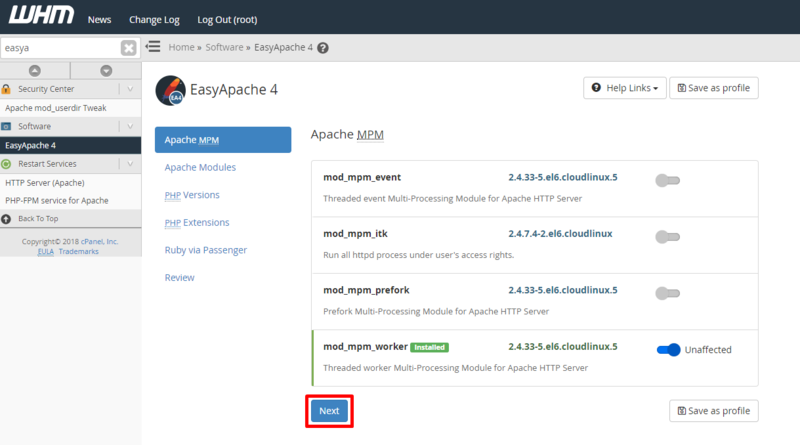 On the second page (Apache MPM/Modules), we recommend upgrading to the latest available if not already selected. Then click ‘Next Step‘. 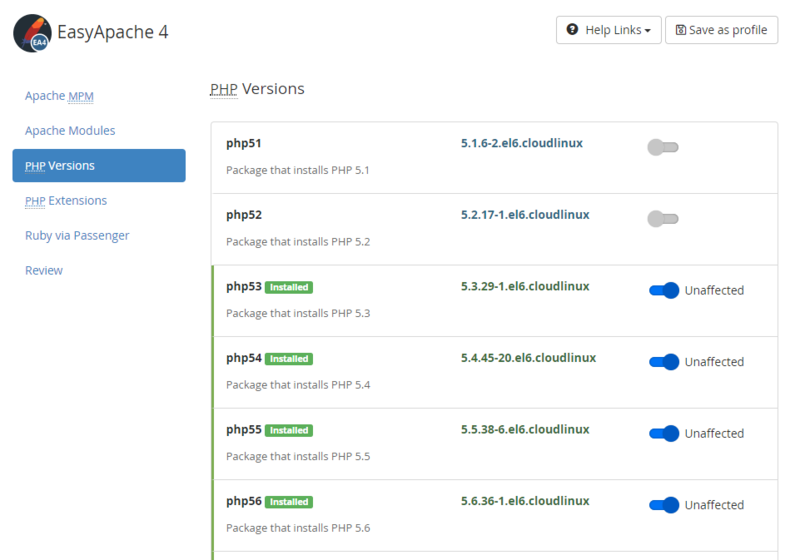 On the third page (PHP Versions) select the version of php you want, click ‘Next step‘ if you are unsure. 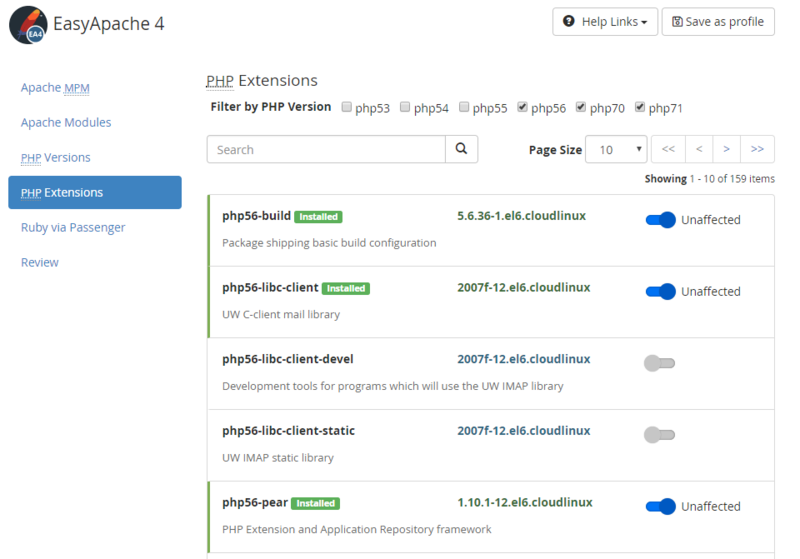 On the forth page (PHP Extensions) select the version of php you want, click ‘Next step’ if you are unsure. On the fifth page (Ruby modules) skip this if not relevent to your server by clicking ‘Next step’. 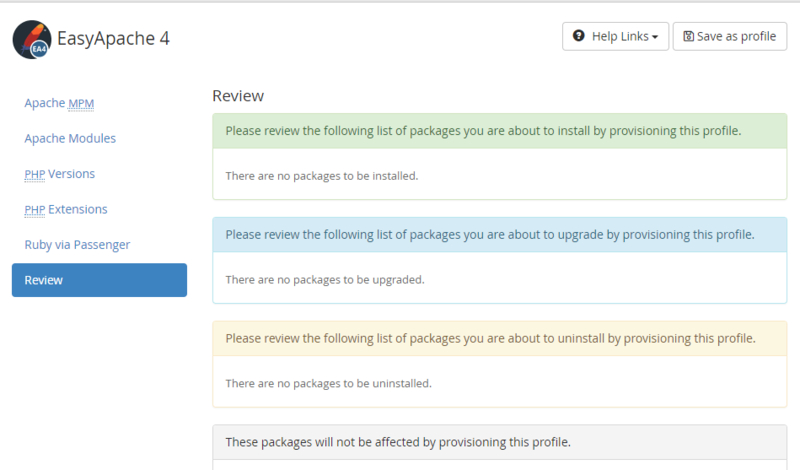 Please review the changes that you are about to install, upgrade and uninstall. Click bottom of the page select ‘Provision‘ to recompile.